Asians have been the recipients of all six award categories: Physics, Chemistry, Physiology or Medicine, Literature, Peace, and Economics. The first Asian recipient, Rabindranath Tagore, was awarded the Literature Prize in 1913. The most Nobel Prizes awarded to Asians in a single year was in 2014, when five Asians became laureates. The most recent Asian laureates, a Japanese scientist Tasuku Honjo and Iraqi Yazidi human rights activist Nadia Murad were awarded their prizes in 2018. Nadia Murad Basee Taha is an Iraqi Yazidi human rights activist who lives in Germany. In 2014 she was kidnapped from her hometown Kocho and held by the Islamic State for three months. As of 2018, there are 20 Asian won Nobel Prize in Physics, with the Japanese taking the most of the 11 winners. As of 2018, there are 16 Asian won Nobel Prize in Chemistry, with the Japanese taking the most of the 7 winners. As of 2018, there are 7 Asian won Nobel Prize in Physiology or Medicine, with the Japanese taking the most of the 5 winners. As of 2018, there are 8 Asian won Nobel Prize in Literature, with the Japanese taking the most of the 3 winners. As of 2018, there are 20 Asian won Nobel Prize in Literature, with the Israeli and Indian taking the most of the 3 winners. As of 2018, there are 3 Asian won Nobel Prize in Literature, with the Israeli taking the most of the 2 winners. ↑ "All Nobel Laureates". Nobel Foundation. Retrieved 2010-03-01. ↑ "Aquino to swear in Ateneo's new president". ABS-CBN News. September 7, 2011. Retrieved November 20, 2018. ↑ "The Nobel Peace Prize for 2007". 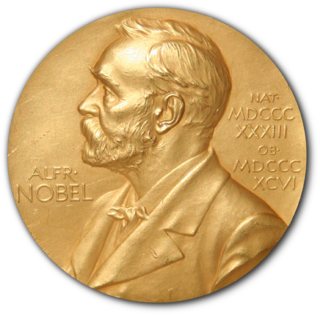 Oslo: The Norwegian Nobel Committee. 12 October 2007. Archived from the original on 2010-11-28. Retrieved 20 November 2018.